One of the biggest competitions in Europe and the biggest competitions in Poland. November 22nd 2014 in the Eastern Poland, the capital of Podlasie – Białystok, 20 women and 40 men selected through an online elimination from hundreds of European competitors will face each other to prove their level of fitness and find the best of the best among them. Participants will compete for the title of the most athletic people in the Eastern part of the continent and Poles will have a chance to prove who is the fittest in POLAND! What’s more: the AESC winners will sign a 12 month professional sponsorship contracts with British company AMAROK NUTRITION. The organizers will also provide financial awards for those placed on podium for the entire event. The prize pool of the entire event reaches $ 10,000 (USD). Winners of single AESC events (WODs) will also receive prizes. 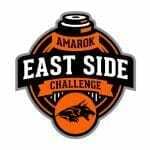 The partners of AMAROK EAST SIDE CHALLENGE are not only the biggest brands in Poland, but also in the world, and will be oficially presented soon. Online qualification will consist of two WODs and will last for two weeks. Be ready!